Add delay to ⌘Q shortcut key to avoid accidentally quitting an app. Is there a better alternative to CommandQ? Is CommandQ really the best app in System category? Will CommandQ work good on macOS 10.13.4? 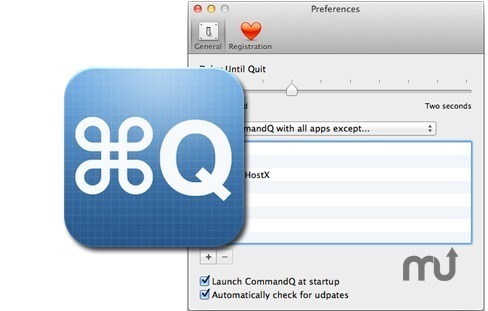 CommandQ stops apps from quitting unless you hold down ⌘Q for a short delay. Have you ever accidentally hit ⌘Q and quit an app when you really meant to press ⌘W to close a window? CommandQ gives you time to catch your mistake and let go before the app quits. Simple. Effective. Awesome. CommandQ needs a rating. Be the first to rate this app and get the discussion started!